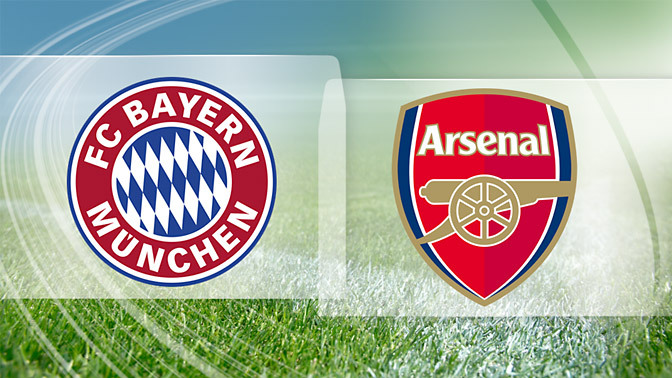 Possible Lineups, Team News, Stats – Bayern Munich vs Arsenal. Champions League match preview. Referee: Milorad Mažić (Serbia), Stream Guide: Watch Live. The home side remain without Franck Ribery and Jerome Boateng, both are out through injury. Boateng and Philipp Lahm both are one booking away from suspension. Thomas Muller is expected to take the left attacking role. Arturo Vidal and Joshua Kimmich will be fighting for the midfield spot in the starting lineup. Xabi Alonso is a doubt through a knee injury picked up recently in training. Hector Bellerin returned from head injury least weekend, he is likely to start. While Nacho Monreal will be recalled for this clash after resting out against Hull City. David Ospina is expected to start as he is the no 1 goalkeeper in this competition for the Gunners. Granit Xhaka will be back after missing last four Arsenal’s games. However, Francis Coquelin and Mohamed Elneny are likely to partner in the midfield. Aaron Ramsey and Santi Cazorla remain on the sideline. Mesut Ozil could be dropped to bench after poor performances in the recent games. Arsene Wenger has plenty of options to replace the German playmaker, Danny Welbeck, Olivier Giroud, Alex Iwobi and Theo Walcott all are pushing for a start. Arsenal have not lost any of their last six group games in Champions League. Bayern Munich have won three of their last six games against Arsenal in all campaigns. Arsenal have scored more than a goal in their last five UCL games. Arsenal have won only one of their last six away UCL games against Bayern Munich. The German side to dominate the game. Robert Lewandowski to score the opener. Alexis Sanchez to score a goal.